As I write this blog, we’re on to probably the third or fourth “batch” of flood due to non-stop rain. Yesterday the flood in our street reached past knee-level and almost entered our driveway, threatening the cars parked inside. Then this morning, rain finally stopped, the flood receded, and I thought that’s the end of the heavy/intense rain (RED warning). In fact, PAGASA stopped giving colored warnings this morning because the weather seemed to be getting better. But now, our street is flooded (12-16 inches) again and if the rain continues well into the night, we’ll have a repeat of last night’s almost Ondoy-like flooding. I also just suddenly thought, I guess somehow I have to be thankful that I live in this generation because this calamity has showed me just how much impact social media has in today’s modern world. I love Twitter, especially, because of near real-time important and even life-saving information it provides me. My news feed is flooded with updates, pictures, videos, stories and everything I need to know about what’s happening around me. Not only that, but we can actually ask for help via twitter! People are being rescued via tweets and we can directly reach our government through twitter. I just can’t imagine not having a twitter account in this day and age when there are just so many benefits we can get out from it. Anyway, I was discussing with a friend through Facebook the things we thought should be done to address our country’s flooding problem. 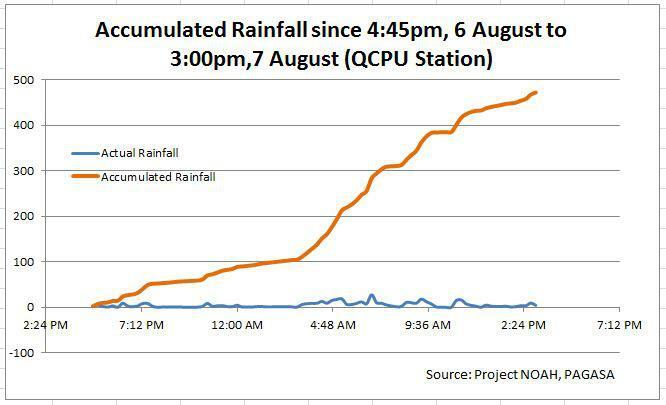 As I said, Ondoy’s not the last and this problem’s not going to go away. Our country’s practically smack in the middle of the typhoon and calamity path (we’re located in the Pacific Ring of Fire) and at least 3 typhoons will visit us every year. (Last year we had 20, I think). I said, one of the pressing issues our government must address is our garbage problem. That’s one major cause of flooding. Our canals are blocked because of tons of garbage. And at the heart of the problem is actually the people, specifically, the lack of discipline and respect! But then you go much deeper, and the root of the root of the problem is education! And Poverty’s not far behind! So where should we start? Another busy night for me. 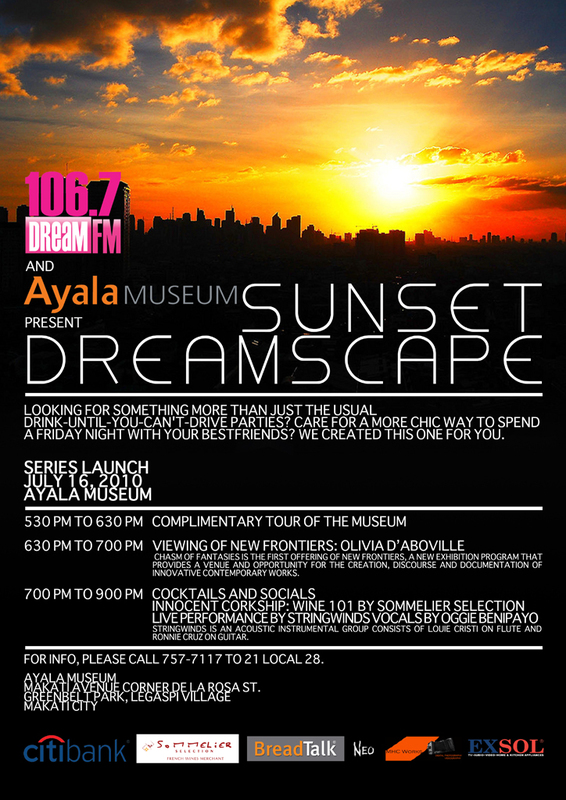 I will be at the Sunset Dreamscapes event later tonight at the Ayala Museum again (we’re partnering with DreamFM). Here is the official event poster. Yesterday naman, I was at the Opening reception of Olivia d’Aboville’s exhibit, which I must say is absolutely wonderful. If you have the time, visit her exhibit: New Frontiers: Olivia d’Abovilla Chasm of Fantasies. Olivia d’Aboville is a young French artist. Her exhibit is inspired by her passion–diving and the underwater world. You can find more information about her here: http://www.oliviadaboville.com. That’s it for me this week. I hope I will still have the energy tonight (after the event) to work on an overdue project which i need to submit tomorrow!